The IMAS line has a long and storied history, with an initial development by Promatory Communications, purchase and continuation by Nortel and then most recently purchased and managed by CTDI. 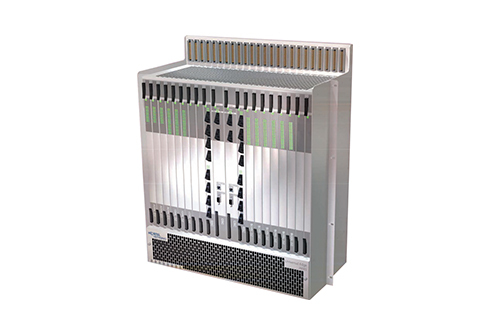 All the used Nortel IMAS units and chassis stocked by Worldwide Supply work with equipment from all three OEMs, including the latest UE 600 series from CTDI. The IMAS line allows commercial carriers to provide guaranteed service levels similar to T1/E1 deployments, but at a significantly reduced cost by supporting DSL access levels. Different service levels can be implemented and provided while tiers even at the edge are properly supported thanks to the robust control nature of the Nortel IMAS. Universal IMAS Edge technologies can remove existing networking shortcomings associated with DSLAMs, plus there’s no longer a need to use a host of single-function DSLAMs to operate multiple DSL-grade services. Used Nortel IMAS can provide full QoS and management for up to 128 ARM virtual circuits per port with a scalable, reliable architecture designed specifically for carriers. Give your network guaranteed uptime support and service delivery with a full line of refurbished Nortel IMAS gear. We’ve brought every piece up to OEM standards with certified technicians and a state-of-the-art testing lab designed to simulate real-world applications and scenarios. Just because Nortel is leaving the networking business doesn’t mean you have to adjust your existing infrastructure. Take advantage of proven platforms that are being purchased and updated by other OEMs — always with an eye toward compatibility — so you make the most of each investment and don’t run the risk of large-scale changes that are costly or ineffective. Give your network the strength and reliability it needs with used Nortel IMAS equipment from your best repair, refurbishment, and maintenance partner: Worldwide Supply.